The most common food allergens include wheat, soy, milk, eggs, peanuts, tree nuts, fish and shellfish, which make up about 90 percent of food allergies, according to The Food Allergy & Anaphylaxis Network. However, other foods can cause allergic reactions. An allergy to maple syrup is uncommon, but if you suspect you have this condition, talk with your doctor about testing and treatment. An allergy to maple syrup produces symptoms similar to those in response to other food allergies. You may experience one or all of them, and the severity will depend on your sensitivity and the amount of maple syrup you consumed. Common symptoms include hives, rash, swelling, tingling in your mouth or throat, wheezing, digestive disturbances, trouble breathing and dizziness. A severe allergy to maple syrup may produce a weakened pulse, a swollen throat, constriction of your airway and loss of consciousness. Keeping a food diary in which you record the foods you eat and any reactions that occur shortly after is a good way to find trigger foods and allows your doctor to determine a possible source of symptoms. If she suspects a maple-syrup allergy, she will likely perform a simple blood test to look for allergy-related antibodies. A skin-prick test is also a reliable way to test for a food allergy, and involves introducing a small amount of maple syrup to your skin and watching for a reaction. Your physician may also ask you to avoid maple syrup for a couple of weeks, then reintroduce it and watch for symptoms to appear. If you have an allergy to maple syrup, you will have to eliminate it from your diet to prevent symptoms. This requires reading labels, although the number of foods that contain maple syrup is much lower than other common food allergens. 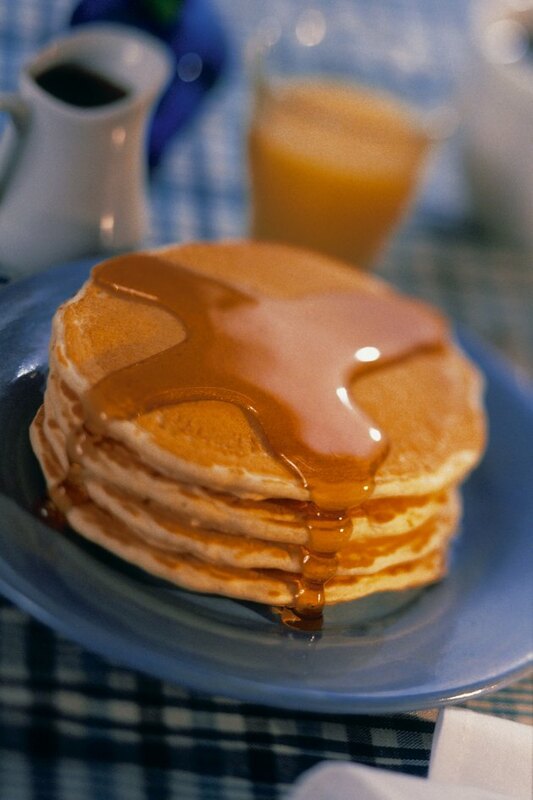 Avoid anything that contains maple syrup or maple sugar. This includes some types of cereal, flavored oatmeal, bread, baked goods and desserts. If your favorite is off-limits, try making your own at home with an alternative sweetener. A severe maple allergy may require you to carry an epinephrine treatment in case of accidental ingestion. If you are allergic to maple syrup, the pollen or sap from a maple tree may also produce allergy symptoms. This includes contact rashes, stuffy nose, sneezing and watery eyes. These symptoms require alternative methods of treatment that may include topical ointments or antihistamines. However, being allergic to maple pollen doesn't always mean you will be allergic to maple syrup.